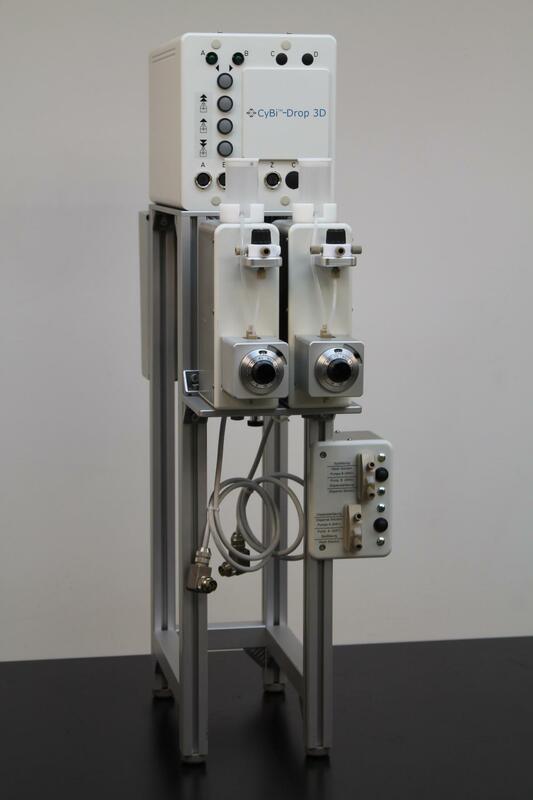 CyBio CyBi-Drop 3D for Liquid Handling Station w/ all connections . New Life Scientific, Inc. Please see pictures for a better description. Not much is known about this unit by us other than it came from a working enviroment. We have not been able to test this but it looks to be in very good condition. As mentioned all cords that came with it (previously hooked up) are included. This unit is pretty heavy so shipping will very. Please contact us about shipping prices and please know what you are buying. Please contact us if you have any questions or concerns regarding this item.